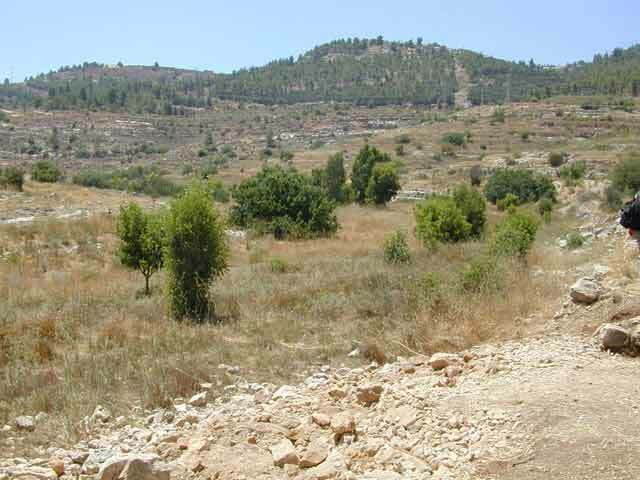 During July 2002 a salvage excavation was conducted along the Jerusalem–Bet Shemesh railway (Permit No. A-3688*; map ref. NIG 2152–4/6283; OIG 1652–4/1283). The excavation, on behalf of the Antiquities Authority and financed by the Israel Railroad Authority, was directed by Y. Baruch, with the assistance of R. Abu Khalaf (administration), V. Essman and V. Pirsky (surveying) and A. Re’em. 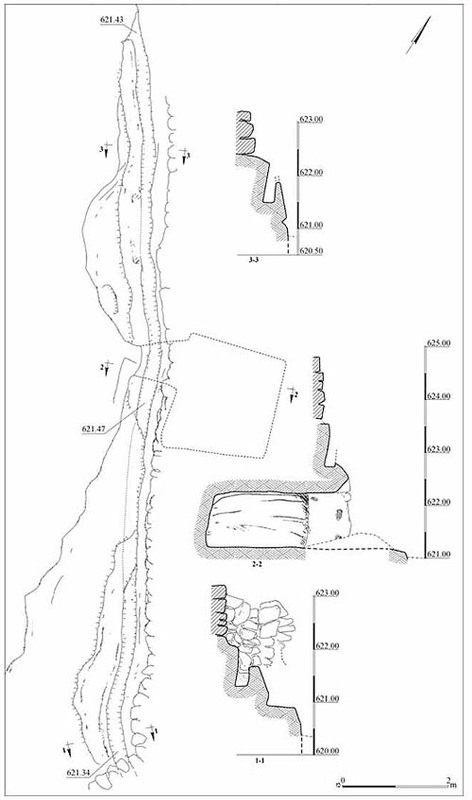 Remains located c. 300 m south–southeast of ‘En Lavan and northeast of ‘Ein el Hanniya (Fig. 1) were excavated. 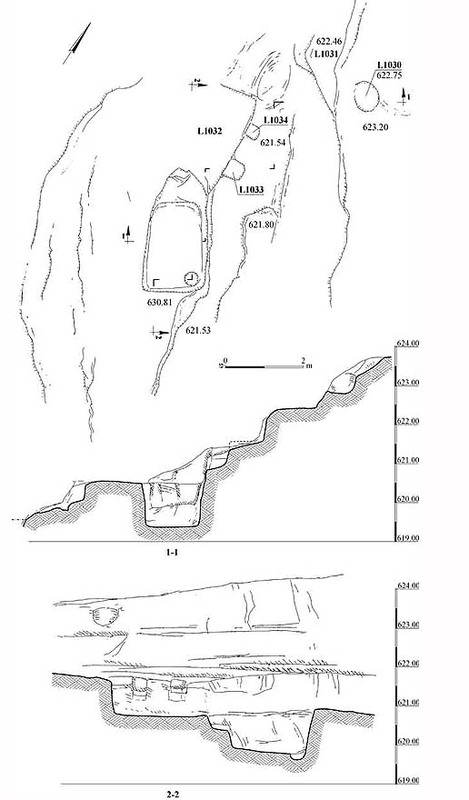 These included two winepresses (1, 2), a watchman’s hut and a rock-cut water conduit, which were identified by D. Weiss in a development survey prior to the excavation. Winepress 1 (Fig. 2). 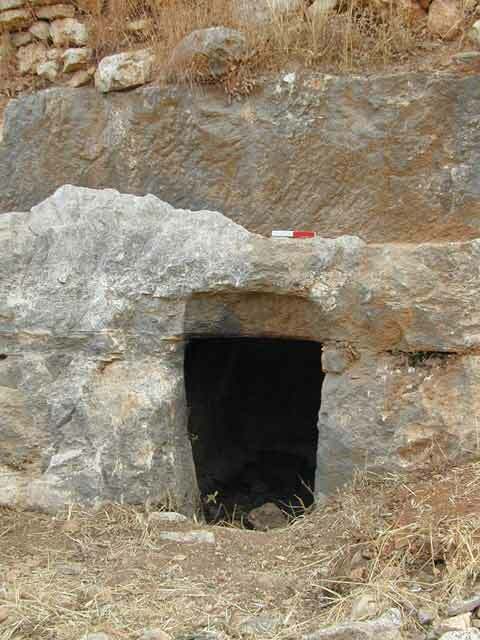 The winepress, which was hewn in the middle of a leveled bedrock surface, surrounded by a row of fieldstones on the eastern, northern and western sides, consisted of a rectangular surface (c. 0.3 × c. 0.7 m, depth 0.1 m); a hewn channel led from the eastern end of the surface to a rock-cut cupmark (diam. 0.35 m, depth 0.25 m). Watchman’s Hut (Fig. 3). 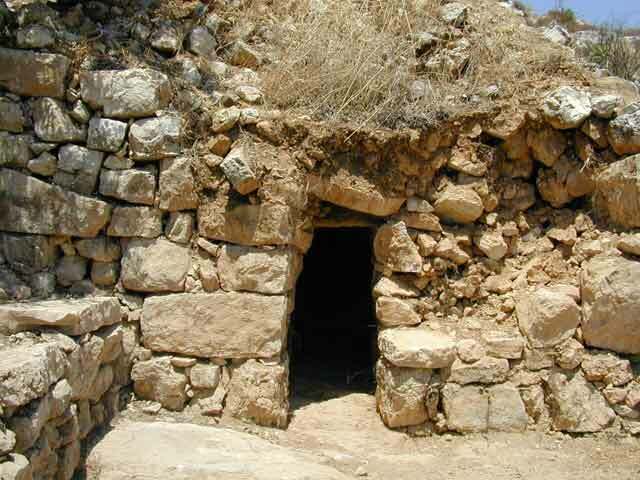 The hut was discovered at the bottom of the slope of the Lavan Ridge, slightly above the center of Nahal Refa’im channel. It consisted of a square room (4.2 × 5.2 m) located on the northeastern corner of a fore courtyard (L1011; 2.5 × 3.0 m). The back of the room’s northeastern wall verged on a bedrock terrace (height c. 1.5 m), which could have been the source for the stones used in building the hut. The walls of the hut (thickness 1.0–1.5 m) were constructed from two rows of stones with a soil-fill core. The exterior faces of the walls utilized coarsely hewn stones, whereas the inner faces were composed of small fieldstones and quarrying debris; the corners were built of large ashlars. The leveled bedrock surface served as a floor and the corbelled ceiling consisted of small stones. A narrow opening in the room’s southern wall, located inside the courtyard, led to a short corridor (L1027; length 1.5 m, width 0.5 m, height 1.1 m; Fig. 4) that was difficult to pass through. The walls of the corridor were built of ashlar stones and the ceiling was of stone slabs. Outside the room, adjacent to its northern corner, was a staircase of five built steps (L1010; Fig. 5) that led to a flat roof (L1018). The roof was constructed from crushed limestone and soil that contained small stones and was surrounded by a low stone wall (preserved height c. 0.6 m; Fig. 6); it was probably used as an open balcony. The courtyard was enclosed within fieldstone-built walls (height 1 m); the walls adjacent to the room were carefully built and blended together with the construction of the room’s walls. The floor of the courtyard was composed of soil and fieldstone fills. Two staircases were incorporated in the courtyard’s southwestern wall (W1022). 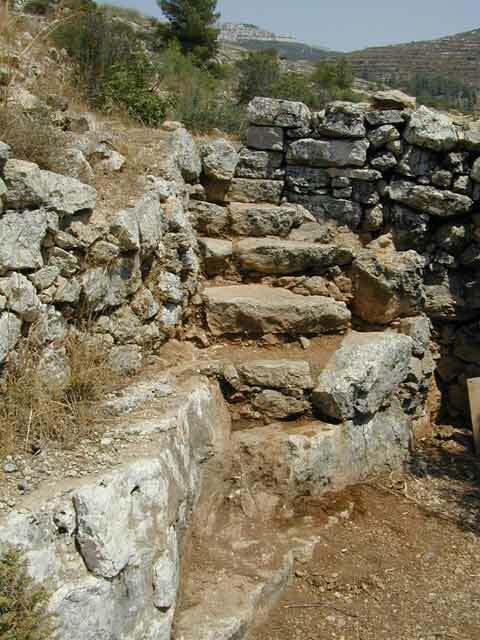 One staircase (L1017) joined the hut with the agricultural areas at its foot, in the southwest, and the other (L1023) led from the courtyard to the agricultural plots in the wadi channel. It is clear that room and the courtyard of the watchman’s hut were built together as a single unit, apparently during the nineteenth century CE. The fills in the courtyard yielded numerous pottery fragments dating to the Roman and Byzantine periods, the middle ages and the end of the Ottoman period, which were brought from the wadi channel that contained an abundance of potsherds from these periods. Winepress 2 (Fig. 7) was hewn c. 20 m west of the watchman’s hut, on the same bedrock terrace. It was poorly preserved, but seems to have been built on two levels. 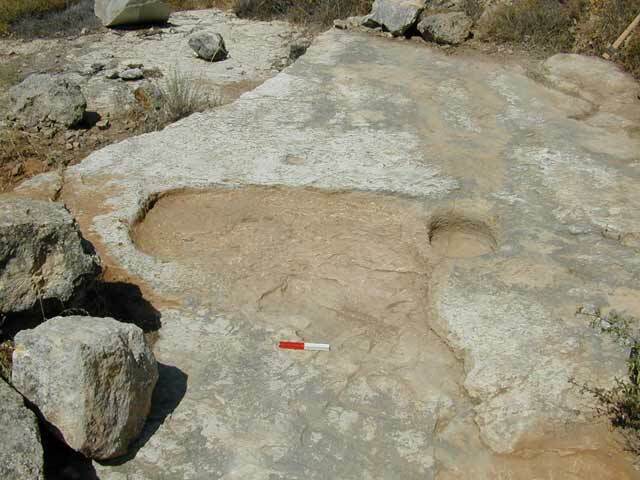 A circular vat (L1030) and a small section of a straightened bedrock surface (L1031) alongside it were preserved from the upper level. The bottom level included a treading surface (L1032; length c. 2.5 m, min. width 1 m) that was only partially preserved. Two rectangular niches (L1033, L1034; Fig. 8) were carved in the northeastern bedrock wall of the surface, c. 0.2 m above it. 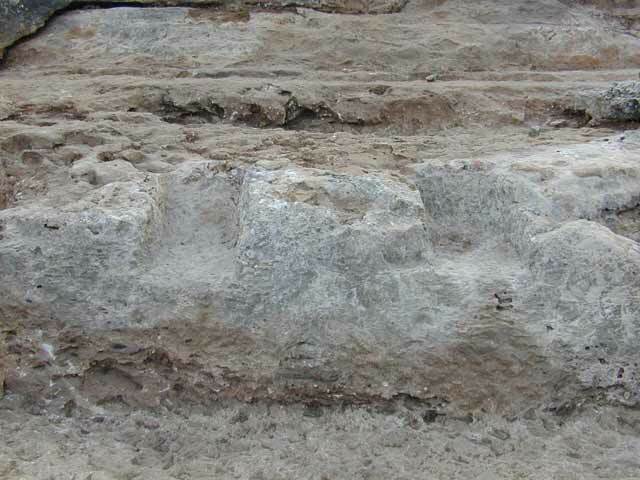 The niches were, most likely, used to secure wooden beams that were part of the pressing installation in the winepress. Based on similar winepresses discovered in the Jerusalem hills, this winepress should be dated to the Iron Age. Rock-cut Water Conduit (bottom width 0.2–0.3 m, average depth c. 0.4 m; Fig. 9). 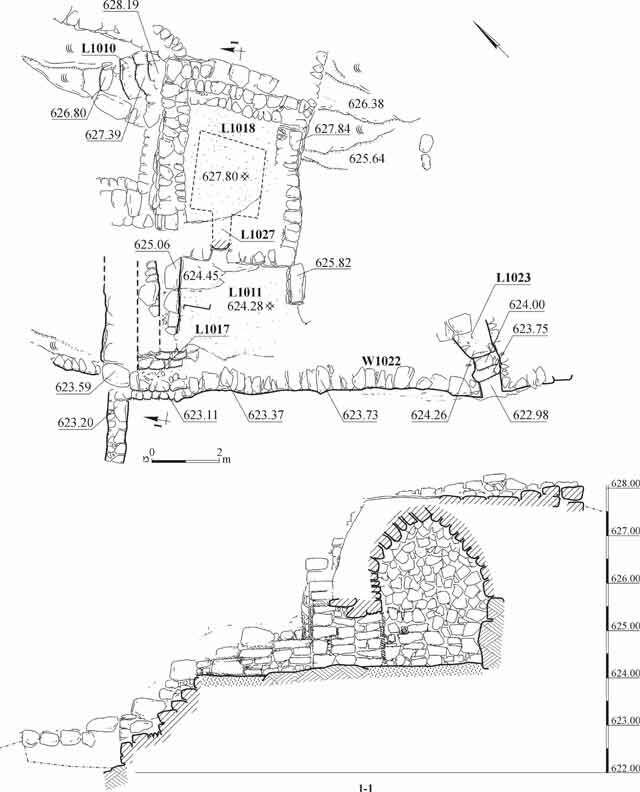 The conduit was discovered further along the bedrock terrace, c. 10 m west of Winepress 2; it was cleaned for a length of c. 40 m. The conduit's walls were carefully hewn, though not the bottom of the channel. The exterior wall was broken in several places; in other places, some of the hewn sections appeared to have not been completed and no evidence of water erosion or travertine accumulations on the conduit’s walls was visible. The conduit was covered with an agricultural terrace on the northeastern side; further along its route it was not preserved due to later quarrying. A section of the conduit was hewn above the ceiling of a small rectangular tomb that was found plundered (Fig. 10). The conduit was apparently fed by the ‘En Lavan spring at the top of the slope. 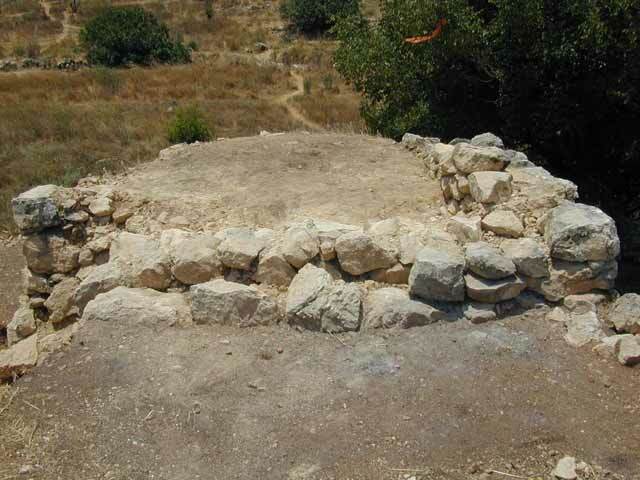 The excavated remains indicate that this area of the Refa’im Valley was used for agricultural activity throughout many periods, up to the middle of the twentieth century CE. The installations point to the growing of vineyards, wine production and the development of systems for conveying water from the local springs to the fields. 1. General view of the excavation area, looking west. 2. Winepress 1, looking west. 3. The watchman’s hut, plan and section. 4. The opening to the watchman’s hut, looking northeast. 5. The steps ascending to the roof of the watchman’s hut, looking southeast. 6. The roof of the watchman’s hut, looking west. 7. Winepress 2, plan and sections. 8. Winepress 2, niches for securing beams, looking east. 9. The water conduit and the tomb below it, plan and sections. 10. The entry to the tomb and the hewn water conduit above it, looking east.